A woman in her 20′s is being detained in connection with the incident. GARDAÍ IN DUBLIN have seized cocaine and heroin worth an estimated €595, 000. 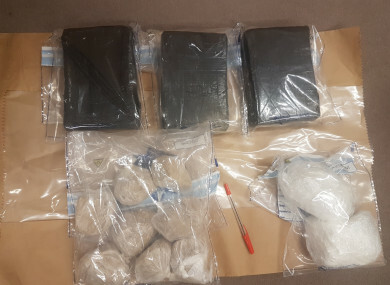 Four kilos of heroin and half a kilo of cocaine were seized at a house at New Bancroft Place, Tallaght. A woman in her 20s was arrested in relation to the seizure and is currently detained at Tallaght Garda Station under Section 2 of the Criminal Justice (Drug Trafficking) Act 1996 as amended. Gardaí in Tallaght carried out the operation as part of enquiries into the sale and supply of controlled substances in the Tallaght area. Email “Almost €600,000 worth of cocaine and heroin seized in Dublin”. Feedback on “Almost €600,000 worth of cocaine and heroin seized in Dublin”.